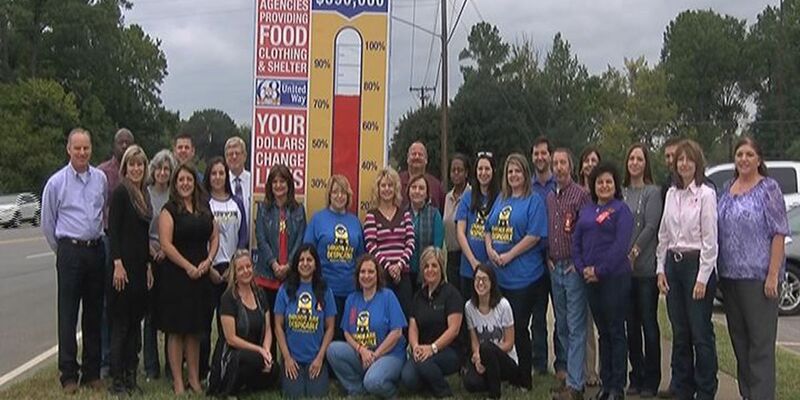 LUFKIN, TX (KTRE) - The Angelina County United Way is one step closer to reaching their goal for their 2015 fundraising campaign. Friday morning the group painted the donation sign outside of the Lufkin Mall up to 75 percent. The groups total goal is $390,000. The money that is raised will be given back to 19 different charities in Angelina County. The group expects to reach the goal by Nov.6.